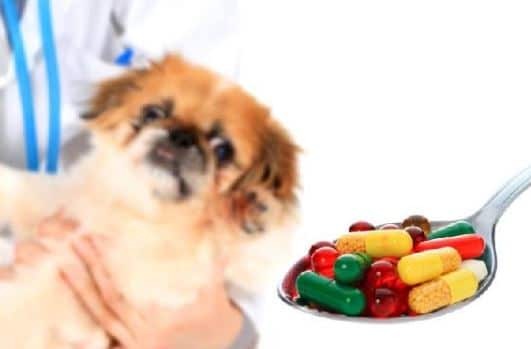 How to Give Pills to Puppies – To see our sick little companion is to cut the heart. Then we do the usual: we go to the veterinarian and in the end we leave with a glamorous list of drugs with absurd names that we never heard of and we do not know anything about them. And what is not the scare when we see inside the medication box a pill bigger than the throat of Godzilla. The first question that comes to our head is: how will I make my dog ​​swallow it? Well, to answer that question we put some tips. These are certainly the easiest to make the puppy swallow. If the dog likes the taste you can mix in the ration, but have to eat on time or the medication loses the effect. If he refuses to eat and finds the taste bad, the way it’s going to be to use a syringe. After all, the syringe will be used if the veterinarian gave you the amount of the medication in ml and not drops. But be very careful that the dog does not choke. Never give the medicine when it is lying down, the best position and with the head higher for gravity to favor the path. Another detail is when we talk about small breeds like York and Shih Tzu that often choke because of the anatomy of the respiratory tract, typical of small dogs. These are also not very difficult to give. You can cut it into pieces and mix it in the dog’s food. He will eat and chew the tablet, which the oral mucosa will soon absorb, making the effects much faster. If he does not want to eat the way it will be to crush the medicine and mix it with a little water giving in a spoon. If this form also gets complicated, the medicine crushed with water can be given in the syringe, but it is not the most indicated form. When a solid drug is administered through a syringe, much of it is not put out so you will be giving a much lower dosage than the recommended one. You can also make use of so-called Pill Pockets. It is a food made in a specific format to insert tablets and make this task much easier. But you should only find them in virtual stores. The pills are a little more complicated. Putting them in the food is not a good option. There are people who insist on removing the plastic and ingesting only the powdered medication inside it. This is completely wrong. That remedy was made this way for a reason not because the manufacturer found the cuter medicine more beautiful. This type of medication can not be absorbed in the mouth and therefore has to pass unharmed and unbroken until reaching the stomach where the gastric juice will please corrode the plastic and allow the body to absorb the rest. The best way to give pills is whole. If they were very small (the size depends on the dosage) you can mix in a type of pate and make the dog swallow without chewing. The other way is the more conventional method: open the dog’s mouth and put the remedy there. Then hold his mouth shut until you’re sure he swallowed. It may be a somewhat aggressive form, but it is for the good of your friend’s health. If the dog is large, you can ask someone to help you by holding his paws behind while you administer the remedy.